Cylinder head gasket mounted between the cylinder head and cylinder block cylinder head cylinder seal to ensure gas, cooling water and lubricants leakage. It must tightly seal the high temperature and pressure gas generated in the cylinder and the cooling water and engine oil with a certain pressure flow rate across the cylinder liner, and can withstand the corrosion of water, gas and oil. ⑴ engine work under heavy load for a long time, often produce detonation combustion, leading to local high temperature and pressure within the cylinder ablation cylinder pad. ⑵ tighten the cylinder head bolts, not according to the requirements of the operation, uneven torque caused the cylinder liner is not flat posts in the cylinder block and the cylinder head joint surface leading to channeling gas. ⑶ ignition advance angle or injection advance angle is too large, so that the maximum cycle pressure, the maximum temperature is too high. ⑷ poor quality cylinder head gasket pad, uneven thickness; packet interface memory bubbles, uneven laying of asbestos or wrapping is not tight. ⑸ cylinder warpage deformation, uneven cylinder block surface roughness, individual cylinder head bolts loose, leading to lax sealing. ⑹ improper driving methods of operation, habit of fierce plus throttle and rapid acceleration, high-speed operation, excessive pressure intensified cylinder pad erosion. 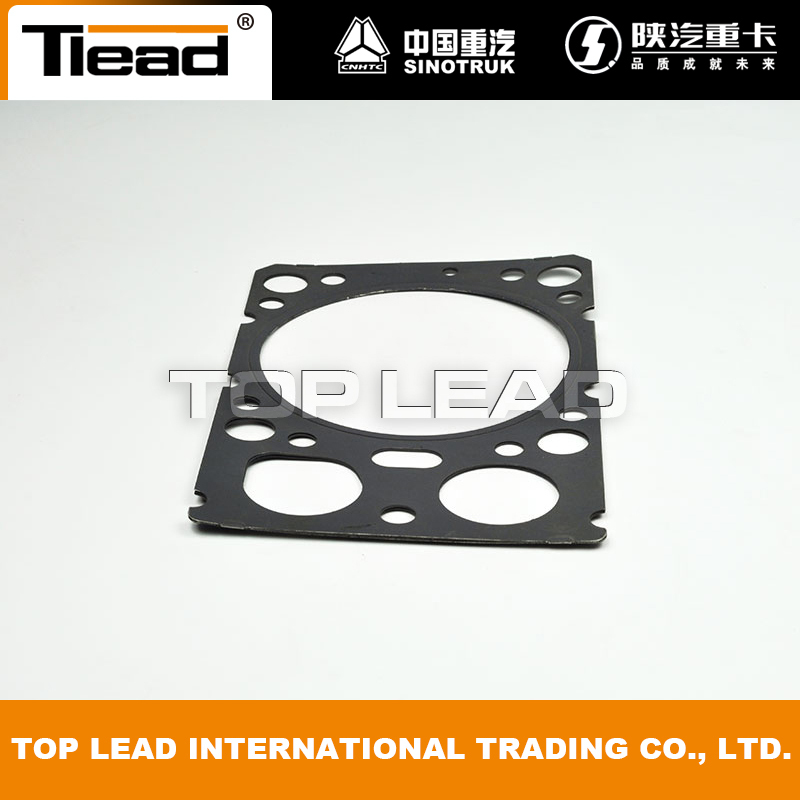 Cylinder head gasket pad components on the engine operate under severe conditions of high temperature, high pressure and high speed relative motion, so cylinder pads and related components are easily burned and appear faster mechanical wear. In order to make the engine often work in perfect technical condition and prolong its service life, it must be properly used and properly maintained. 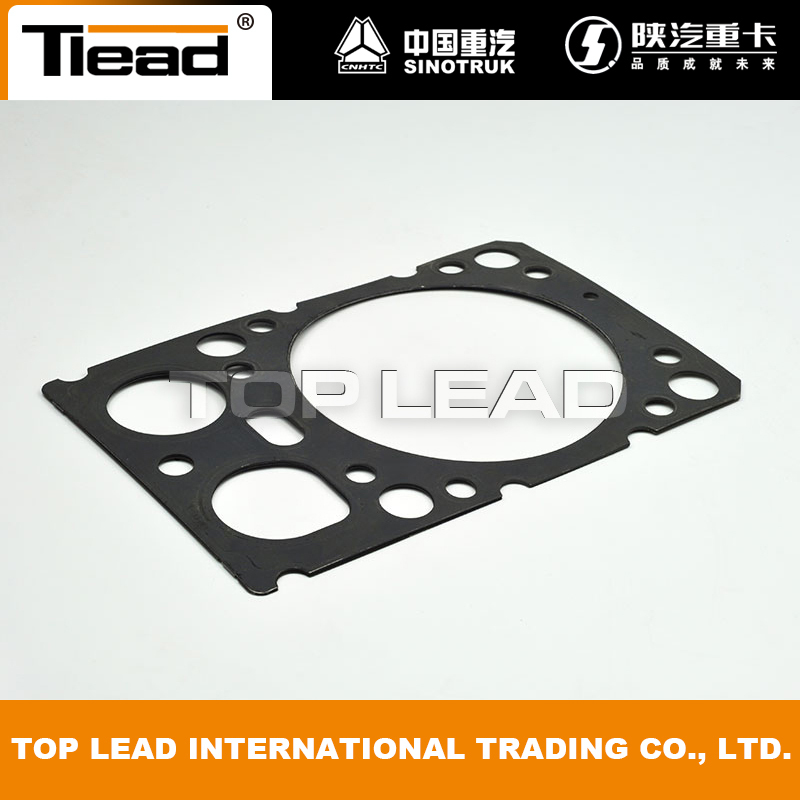 We recommand you to use original cylinder head gasket, our company is able to supply you high quality gasket which can garantee your truck in a very good condition. Looking for ideal Howo Head Gasket Manufacturer & supplier ? We have a wide selection at great prices to help you get creative. All the Sinotruk Head Gasket are quality guaranteed. We are China Origin Factory of VG1500040049 Howo Gasket. If you have any question, please feel free to contact us.